There is no doubt that Orange is my favourite scent for beard care products and so when I saw ‘Royal Citrus’ from Royal Beard Club, I couldn’t wait to try it. 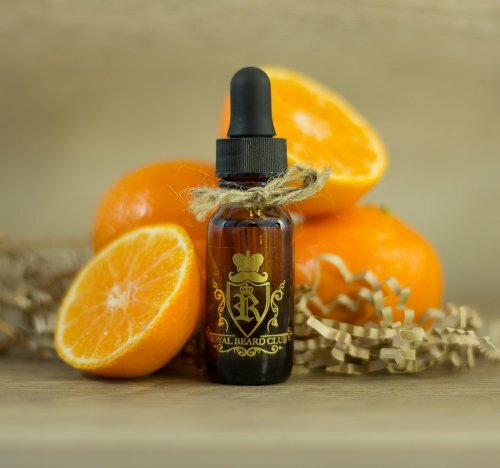 ‘Royal Citrus’ from Royal Beard Club is a blend of two citrus scented oils, Tangerine and Orange and the addition of the Tangerine has made a big difference to the Orange. The oil has that sweet orange scent but the tangerine has lifted it, it’s slightly sweeter and brighter if that makes sense? The Orange and Tangerine combination has been added to a base of 100% Argan, 100% JoJoba, Grapeseed and Sweet Almond carrier oils and the result is a beautiful oil. I have awarded ‘Royal Citrus’ from Royal Beard Club the Gold Cup that I give to my favourite products, yes it’s partly because it has the Orange but also because of that addition of Tangerine and how it works so well. It’s also because the oil has made my beard feel and look so good, yes the other oil from Royal Beard Club also made my beard feel good but the Citrus combination just nudged this oil to the Gold Cup. ‘Royal Citrus’ from Royal Beard Club is available from their website in 15ml/0.5oz for $14.99 now on sale at $9.99 or 30ml/1oz for $29.99 now $15.97. ← You’re pulling my leg?